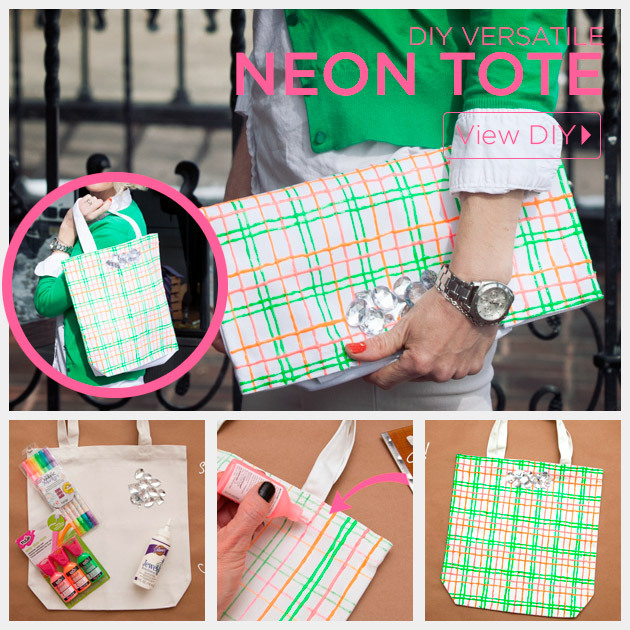 Get ready for spring by adding some bright pops of color with this Versatile Rhinestone Neon Tote DIY using neon fabric paints and markers from Tulip and i Love To Create. Scroll through the whole tutorial to get your code for free shipping on any neon tulip product good through February 28th. 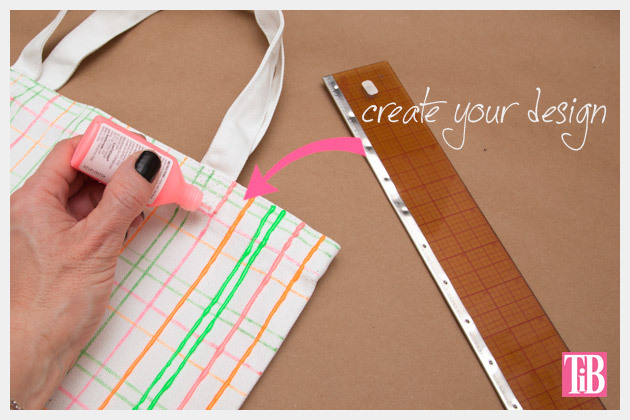 Decide what pattern you want on your canvas tote bag. 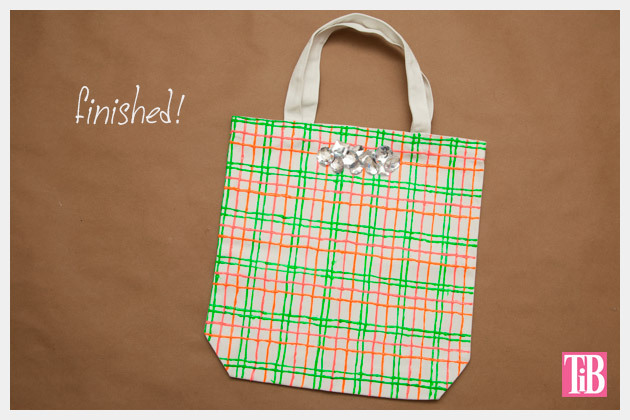 I used the tulip fabric markers and a ruler to draw the lines for my plaid on my tote before making the lines in fabric paint. Make the Vertical lines first all across the front of the bag and let dry before moving on. 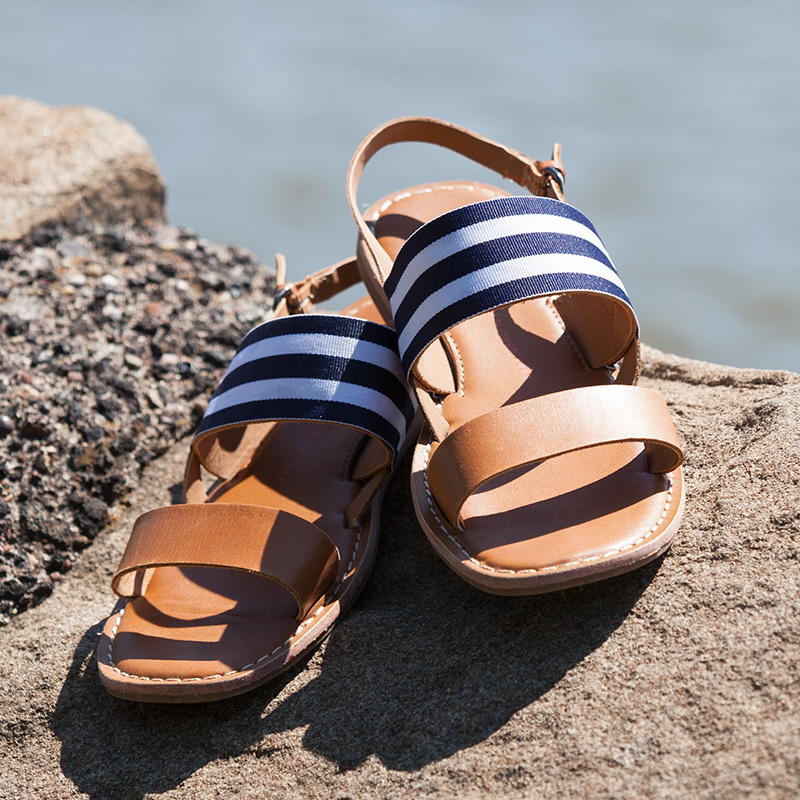 When your vertical lines are dry, draw your horizontal lines and let dry. Complete one side before creating the other side (if you are doing both). 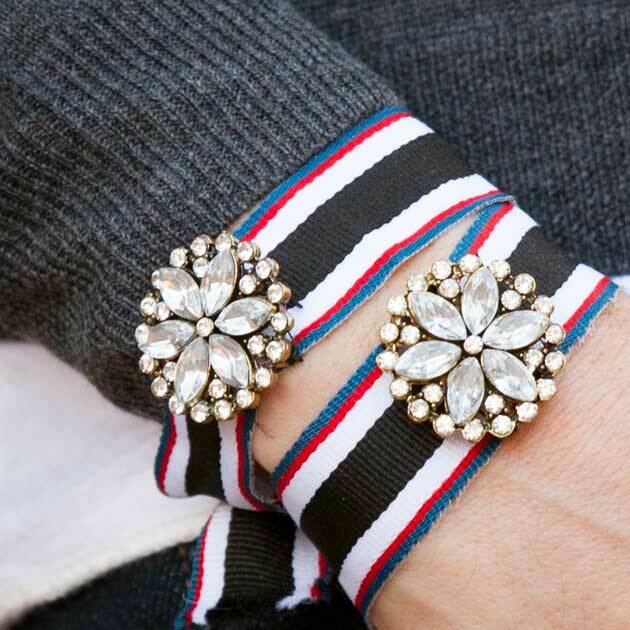 Now you’re ready to add your rhinestones! Lay them on your bag and figure out how you want them to be. Take a picture with your phone if necessary to remember their placement. 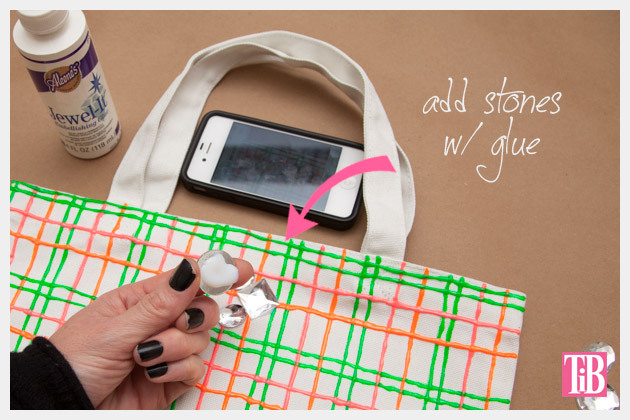 Using the Aleene’s jewel-it glue put some glue on the back of each rhinestone before adding it to your bag. 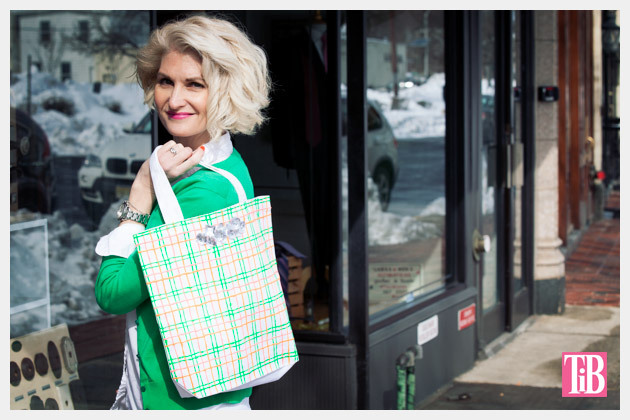 This cool tote can be used two ways; the first way like a traditional tote. 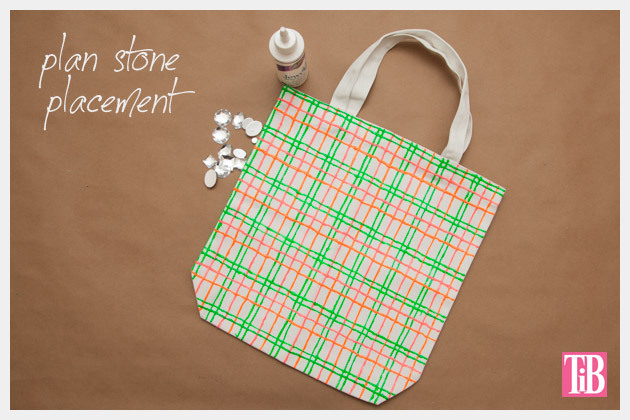 With these bright spring colors it can be a fun tote to take to the farmers market or the beach or just to carry everyday. 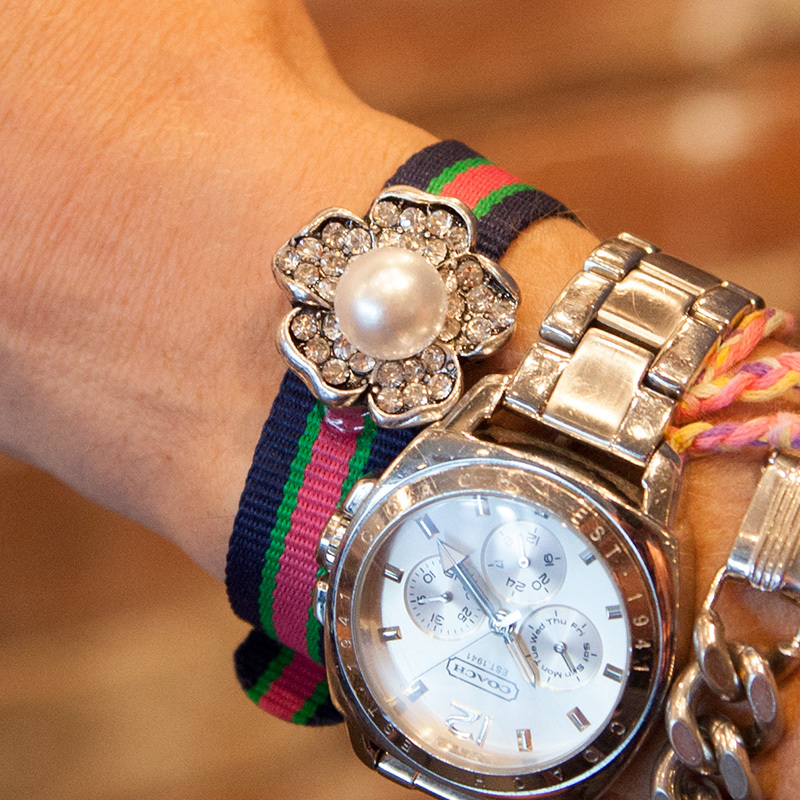 The second way to carry it is to fold it in half like a clutch. For those times when you don’t need to carry as much. Pick up these exclusive products at your local Michaels Arts & Crafts store. 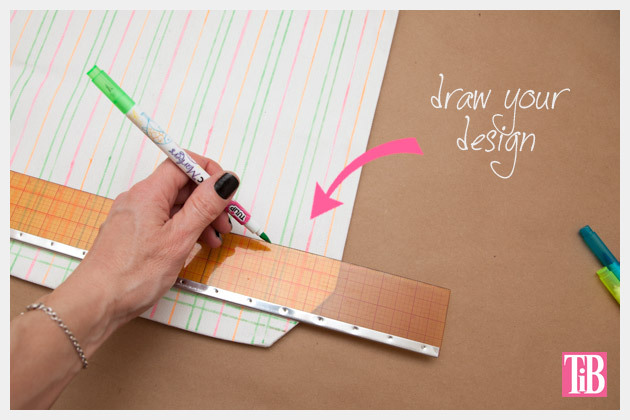 For those without a Michaels store in their area, you can order the products at iLoveToCreate.com. iLoveToCreate.com is currently offering free shipping on any neon Tulip product for the month of February when you use coupon code NeonFEB (ends February 28th). 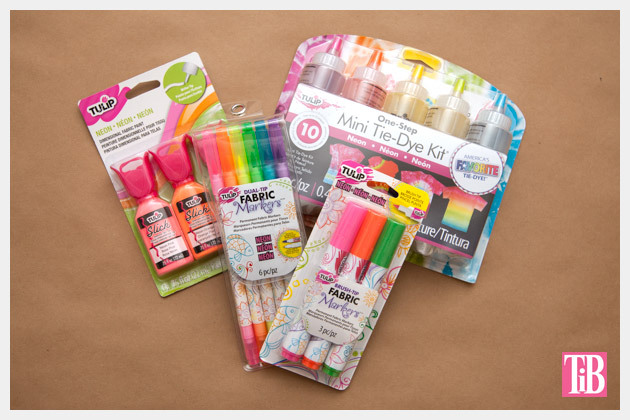 Check out these fun and fabulous neon products from Tulip, be sure to get yours and stock up with free shipping before February 28th! 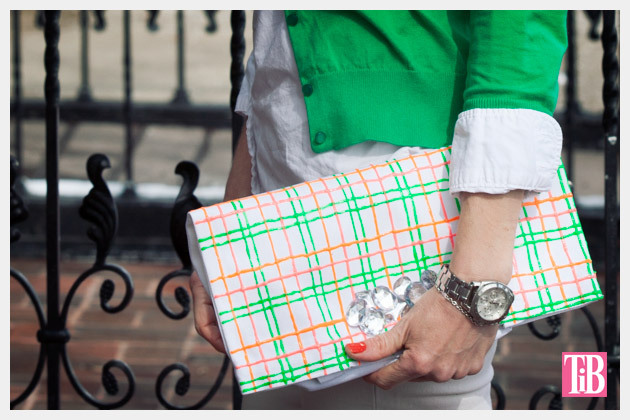 Leave me a comment and let me know what you’ll be making with neon this spring! To keep up with i Love To Create check them out on social media facebook, twitter, pinterest and blog. This is a sponsored post. I have been compensated for this post, however, opinions, concept, design and DIY tutorial are my own. 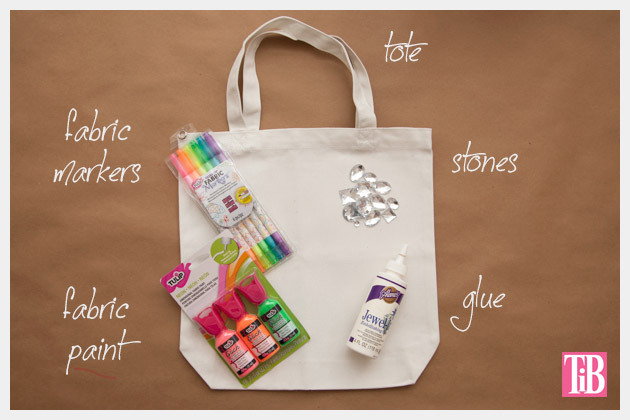 What a fun updated to a simple canvas tote!